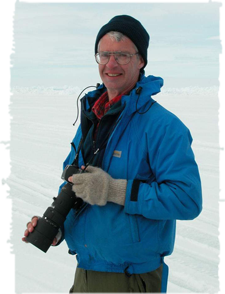 David has been a researcher and writer, specializing in the areas of environment, parks, local history and arctic ecology for 45 years. David’s first zoological field research, on the behaviour of hoary marmots, led to a BSc thesis at the University of Victoria in 1967. This was followed by research on the behaviour and social organization of muskoxen, including an over-winter study on Bathurst Island, leading to a PhD at the University of Alberta in 1973. Following 21 years as a museum scientist and curator, David is now an independent researcher, writer, and filmmaker. In 1991, he was elected Fellow of the Arctic Institute of North America in recognition of his contributions to Arctic science. David is a Research Associate at both the Canadian Museum of Nature and the Canadian Museum of Civilization and is also a Research Affiliate at the Canadian Circumpolar Institute at the University of Alberta. Sally brings to the team her experience as a government writer and editor at Natural Resources Canada and National Defence. Her writing interests are in science and technology, agriculture, and natural history. Sally wrote part-time for local newspapers and today does freelance writing as well as working with Grayhound Information Services. 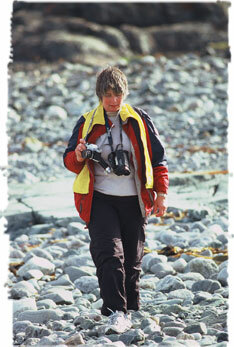 For four years she wrote a column in two local newspapers called Seeing God in Nature. She recently apprenticed with the University of Ottawa Press for six months in order to learn more about the publishing business as an editor. Sally has a B.A. in Physical Geography from Brock University and a diploma in Communication Arts from Mohawk College in Hamilton. We formed Grayhound Information Services in 1993, when David left the Canadian Museum of Nature after 21 years as a research scientist. We decided to form our own company and work on a contract basis from our home. Our first contract was with Parks Canada: to complete the ‘Resource Description and Analysis’ for Ellesmere Island National Park Reserve, a perfect project to sink our teeth into.